Email marketing, or using email to promote products and services, and develop relationships with leads and clients isn’t the newest or trendiest marketing strategy, but it’s a proven solid investment for businesses of all sizes. When marketed through email, people spend 138 percent more than people who don’t receive email offers. Fifty-four percent of marketers still rate email as the most effective digital marketing channel. Seventy percent of people have made purchases influenced by email marketing. While new ways of marketing are becoming more accessible and affordable for small businesses, email marketing should still be a part of every small businesses’ marketing strategy. If email marketing is new for you, or you’re not sure how to use email marketing to get optimal results, we created this guide to help you understand the ins and outs of email marketing. Try Keap free for 14 days to see how you can use it to incorporate email marketing into your business. Before you send any marketing emails, the first—and most important step—you need to take is to make sure you know the type of people who will be receiving your emails. Identifying your ideal client takes time, but it’s a necessary step if you want your marketing emails to succeed and pay off for your business. When you know your ideal client, you’ll gain an understanding of their needs and how they make purchase decisions. With this valuable insight, you’ll be able to write results-driven email messages that leads and clients will find helpful and useful as you start to build an ongoing relationship with them. There are two important types of information you’ll collect about your ideal client before you send emails. Demographics, the quantifiable characteristics that describe who your ideal client is, and psychographics, the psychological information that tell you the why your ideal client behaves the way they do. Demographics: Quantifiable information that describes your ideal client. 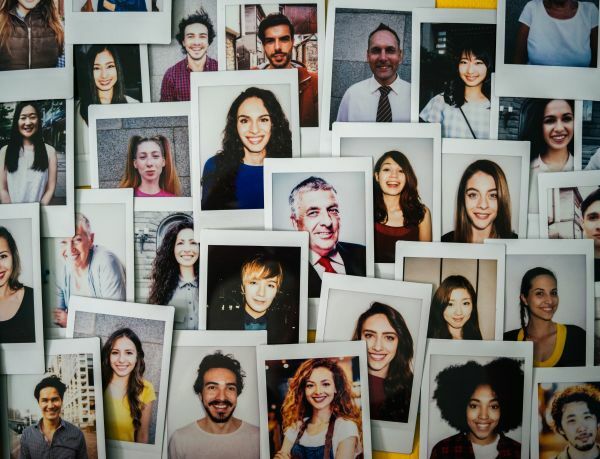 Demographics play an important role in marketing because they provide you with the “who” information you need to categorize and group leads and clients based on their needs and preferences, provide them with the service that meets their needs, and ultimately increase sales. To help you gather information about your ideal client, you can use our free worksheet that will help you narrowly define your ideal client. On their own, demographics only give you part of the information you need. To truly understand your ideal client, and the why that motivates them to make a purchase, you need to add in psychographics. This will help you understand the why that motivates them and drives their purchase decisions. Psychographics: Qualitative information about your ideal client’s interests, activities, and opinions. Psychographics help you understand “why” clients make a purchase—their goals, challenges, emotions, values, interests, habits, and hobbies. With this information, you’ll gain a deeper understanding of your ideal client. In fact, some would argue that psychographic segmentation is much more important than knowing demographics. Now that you know what type of information you need, you’re probably wondering where or how you should go about getting this information. There are a few things you can do and resources you can tap into. Conduct in-person interviews or surveys. You can quickly set up a survey with a free online tool like SurveyMonkey. Ask your clients to take the survey or meet with you for a quick interview. Let them know you’re conducting interviews to get a better understanding of your clients’ needs so you can provide the best possible experience. You can also expand your research by asking the same questions to non-clients. Make a list of all the features your product or service offers. Next to each feature, list out all of the benefits of the feature. Then, list the type of people who have a need that your benefit satisfies. This will give you a good idea of the type of people who will benefit from your product or service. You can also gain anecdotal insights by looking online and doing some keyword research to see what people are searching for or by monitoring online conversations, like those on social media platforms, in reviews, or in forums. Once you’ve nailed down your ideal client, you’re almost ready to write marketing emails with the right message for the right people. Next, you need to figure out the right time to send your email. Who's your ideal client? Use this free worksheet to help you identify your target market. These are questions small business owners often ask when they’re sending emails to leads and clients. Unfortunately, there aren’t definitive answers to these questions. At best, we can tell you it depends. It depends on your goals, or your product or service, or your business needs. While there isn’t a straightforward answer to the question, “How often should I send emails?” there are some guidelines you can follow to help you answer the question. If you have a list of recent subscribers you haven’t emailed yet, this is a great opportunity to set expectations that work well for you and them. Sending emails to leads and clients once a month tends to be the standard frequency for many small businesses, but it can be too low, especially when you’re trying to build brand awareness. If you’re sending emails once a month, consider slowly increasing the frequency to twice a month and then working up to weekly. Keep your email recipients in mind as you gradually increase the frequency of your emails. While frequent communication helps increase engagement with leads and clients, you don’t want to cross the line and become annoying and end up with people unsubscribing from your email list. Be sure to monitor email activity (open rates, click-through rates, and unsubscribes) as you gradually increase frequency to set a cadence that works well with your email recipients. This is a good approach if you have good content to share on a frequent basis (regular promotions, helpful advice, etc.). The key is to make sure you’re adding value and building a relationship with your leads and clients. Again, be sure to monitor the email activity (open rates, click-through rates, and unsubscribes) to see if your recipients are staying engaged with your content. This frequency is only recommended if you have a product or service that warrants a high level of activity to keep leads and clients engaged. In addition to monitoring email activity to make sure your recipients are staying engaged, we also recommend performing split testing, also known as A/B testing, on your content email content (subject lines, images, links, etc.) to ensure you’re meeting the needs of your email recipients while not wasting your time and money creating low-ROI emails. 1. The power of immediacyWhen someone subscribes to be on your email list (via a subscription to a newsletter, promotions on your website or landing page, etc. ), you’ll typically see the highest open rates for the follow-up email you send immediately after they subscribe. Fortunately, these days, software tools like Keap automatically send the follow-up email so you don’t have to worry about sending one whenever someone subscribes to your list because Keap automatically does it for you. When someone subscribes to be on your email list (via a subscription to a newsletter, promotions on your website or landing page, etc. ), you’ll typically see the highest open rates for the follow-up email you send immediately after they subscribe. Fortunately, these days, software tools like Keap automatically send the follow-up email so you don’t have to worry about sending one whenever someone subscribes to your list because Keap automatically does it for you. 2. Your marketWhen it comes to timing, the best time to send an email depends a lot on your market. For example, a restaurant owner would probably benefit from sending emails promoting a new dinner menu item or a dinner coupon later in the afternoon, say around 3pm, to get on the radar of people who want to dine out for dinner later that evening. Find out what makes the most sense for your type of business and test out different send times to see which one gets the best response. 3. Busy schedulesSome types of businesses benefit from sending emails on weekdays while others get more engagement from recipients on weekends. Think about your ideal client and when you think they’d be more likely to open your email, read it, and take action. Most people tend to be busy during the weekdays and are more likely to catch up on email in the evenings or on weekends. Test out different times to see which ones get the best open and click-through rates (CTR) to see which day and time gets the best response from your email recipients. 4. Email subject linesReferencing the time of day or day of the week in your subject lines can help get people to actually open your email. For example, you can include phrases like, “Good afternoon, John,” or “My 2am rant …” to make the subject line more relevant to the email recipient when it’s delivered to their inbox. Don’t be afraid to get creative with your subject lines. The possibilities are endless. 5. The Golden HoursThe Golden Hours are the hours when people are most likely to be in a researching or buying mindset. Most people are busy during the day and probably don’t have time to think about buying a product or service. Based on our research and other studies, we found that people usually enter the researching, educating, and buying mindsets later in the evenings and on weekends. These are the Golden Hours. You can take advantage of these hours in your emails by sending out a “Don’t miss out” type of email right before the weekend. Another example is to send an email with valuable educational reading material or in-depth video with helpful information right when the Golden Hours are about to begin so your recipients have time to read the material. 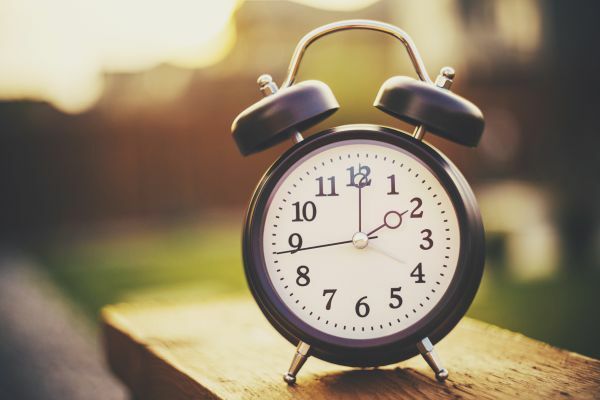 Using software like Keap can help you send emails at just the right time so you don’t miss the opportunity to send out emails at the right time. Once you’ve figured out the right time to send your emails to leads and clients, you’re ready to take the next step and work on creating the right message. When someone signs up or subscribes to receive emails from you, they’re interested in your business and want to hear from you right away. That’s when it’s time for you to capitalize on an opportunity when they’re most interested in hearing from you. You can make a great first impression by sending the perfect welcome email. 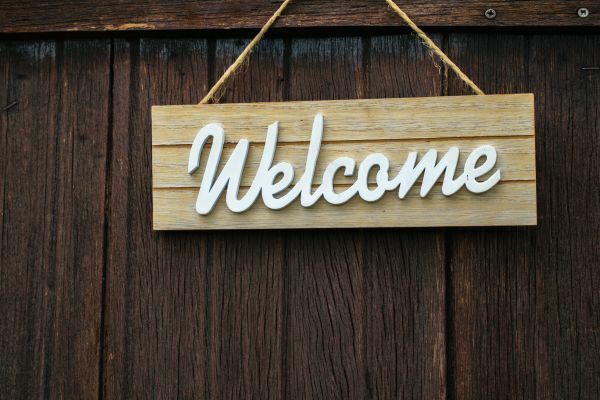 Welcome emails have an average open rate of 50 percent, making them 86 percent more effective than other promotional emails, according to Email Marketing Blog. And what’s even more impressive about welcome emails is that percentage jumps up to 88 percent if the welcome email is sent in real time, something you can automatically do with software tools like Keap. When it comes to welcome emails, timing can be just as important as the content of your message. If you wait too long to send it, you may lose the lead’s interest in your business. Email subscribers are the most interested, or engaged, with your business within the first 48 hours of subscribing, according to a 2013 study from Ciceron. They’re expecting to hear from you. In fact, 74 percent of people who subscribe or sign up expect to receive a welcome email. Why are welcome emails so effective? When people come to your website or blog and sign up for your newsletter, subscribe to future blog posts, or start a free trial, they’re taking the first step in building a relationship with your business. They’ve expressed enough interest in your product or service, or what they’ve heard about your business from word of mouth or searching online, and they’re interested in learning more about what you have to offer. That level of interest makes the welcome email an ideal opportunity for introducing new email subscribers to your business and setting the tone for the rest of your email communications. Let’s take a closer look at each key element in more detail. A welcome email should introduce new email subscribers to your business, its values, and the reason they should choose your business over the competition. Keep in mind, some subscribers may have signed up for your emails after careful evaluation of your website while others may have quickly signed up to get a free resource or offer from you without exactly knowing or caring what it is you do. Be sure to introduce yourself because many of your email subscribers won’t know you. For many people, subscribing to an email list involves a moment of trust—and a little hesitation about what’s ahead. In your welcome email (and ideally on your website’s sign up page, too), set the expectations for what being on your email list means for subscribers. Tell them what you’re going to send and whether they can expect any consistent pattern. For example, maybe you always send new blog posts on Mondays and a special offer for a product or service on Fridays. By setting these expectations, your subscribers start expecting your emails in their inbox. The benefits your business offers is obvious to you, but it may not be obvious to a new email subscriber. Tell them what’s in it for them. Why they should continue to stay tuned to your emails. Convincing strangers to trust you with their email address is a major first step. But still, it’s just that—the first step. Depending on the nature of your business, the next step may not be asking new email subscribers to “pay now.” If you run a service-based business, you need to build a relationship before the lead becomes a client. Include a question related to the service you provide with a call to action (CTA) in your welcome email asking them to reply to the welcome email. Digital Marketer calls these “macro-commitments,” a seemingly small ask that still moves the lead closer to becoming a client. Your welcome email should give subscribers something to look forward to in the next email. Your welcome email should make them want to open the next emails you send. For example, you can tell them you’ll be reaching out to them in a couple days with some tips or information they’ll find valuable. Before you start putting together your welcome email, take a look at the examples of the key elements incorporated into welcome emails. Use this free guide to learn how to greet your new email subscribers with the perfect welcome email. Put yourself in the email recipient’s shoes. Whose email would you open first? An email from a stranger or a friend? Now we’re not saying you need to become best friends with your email subscribers, but do what you can to build a relationship that creates a great experience that’ll turn leads into clients. When you’re writing your email messages, remember a real person is on the other end of the email. Keep it real. Keep it interesting. And, keep adding value throughout the journey. If you’ve sent follow-up emails in the past and didn’t achieve the result you were looking for, or you’re not sure what you should say in your follow-up emails, you may be doubting the results you can get from follow-up emails. The key is to write follow-up emails that actually get results. These types of phrases make emails seem impersonal, robotic, and lack the value or benefit people are looking for when they’re going through the buying journey. Building relationships with clients is not about “checking in.” It’s about offering something of value at every touchpoint throughout the buying journey. Next, show the value your business has to offer by sending emails that remind your subscribers about the problem your product or service can solve and how you’re the best solution to solve the problem. How you go about doing this depends on your business and buying cycle. It can take the form of sharing a valuable article, offering a discount, or it could be a case study showing how others benefited from your product or service. Finally, provide data to back up your product or service. This will help you build trust and credibility and prevent you from coming across as saying anything to make a sale. Include cases studies, research, and testimonials whenever you can. Just like personal relationships, client relationships take time and effort to build. As a small business owner, you’re probably wondering how you’ll find time to fit relationship building (or lead nurturing) into your busy schedule. Fortunately, technology has come a long way to make life easier. These days, you can use software tools like Keap to automatically follow-up so you can build relationships in less time and convert leads to clients. Email marketing is one of the most effective ways to market your business, but if you don’t follow the rules, it can cause detrimental damage to your sender reputation and result in a lot of wasted time and effort. In this chapter, we’ll share best practices along with tips to help you better understand the rules of email marketing and keep your emails out of the spam folder. Email sender reputation works like your real-life reputation. It stays with you. You can also think of it like your credit score. It’s difficult and time-consuming to build, and very easy to destroy. At its most basic, your sender reputation is the reputation that Internet Service Providers (ISPs) associate with your email domain. Aside from monitoring spam complaints, ESPs are becoming smarter and more attuned to what people want to receive in their inbox. They dig deep to see what type of emails are being sent and calculate opens, clicks, unsubscribes, inactivity, and more into the algorithms and decide inbox placement. This is the “@” and ends with “.com” (or .org, .edu, or .anything these days). The reputation of your sender domain follows you everywhere, no matter which ESP you use or whether you switch ESPs. If you fall down in any of these three areas, your sender reputation will be in danger and your emails won’t make it into the inbox of your subscribers so treat it with care. Your email list can make or break your email marketing. That’s where email list hygiene comes into play. Email list hygiene entails cleaning out inactive or unengaged people from your email list and only sending marketing emails to people who are active or engaging (opening emails and clicking on links) with your emails. Performing email list hygiene regularly will ensure you’re only emailing the people who truly want to receive your messages. Recent opt-ins: People who showed a recent interest in your business and gave you permission to send them emails by opting in your email list. Purchasers or subscribers that have been billed within the last 120 days: Purchasing your product or service doesn’t necessarily mean you have permission for ongoing email marketing communication. If they’re not engaged with your emails, this will raise a red flag for ESPs. Opens and clicks in the last 120 days: Once someone signs up for your email list, the clock starts ticking for ESPs. ESPs monitor email opens and clicks—more so clicks—to get an accurate representation of engagement. That’s why it’s important to send emails with valuable messages that give your email recipients a reason to click on your CTA link. Opted in (given you explicit permission to email them). Been contacted in the last four months, and are regularly engaging with your emails, but engagement in the form of email clicks and opens is low. Being in this situation isn’t a good ROI on your time, and it can hurt your standing with your ESP and get you blacklisted. This list is made up of subscribers who you haven’t emailed in the last four or more months. These are people you shouldn’t be sending any email communication. It’s bad email etiquette and it won’t be received well by your email subscribers and your ESP. Knowing the level of engagement of your email subscribers can be tedious if you're trying to keep track of it manually. Fortunately, software tools like Keap can automatically track engagement for you and provide you with easy-to-read reports so you don’t have to spend the time searching through the data and trying to make sense of it. The first step in proper email list hygiene is making sure you’re working with a list of email subscribers who want your messages. It’s easier to drive engagement and convert leads to clients when people want to hear from you. Ask people who have opened an email from you in the last six months to click a link and confirm they still want to receive emails from you. Give the people on your list different subscription options, like receiving every email or signing up for a specific interest. Confirm that their email address is still current and ask if they want to update their email preferences. After you’ve cleaned up your email list and removed the people who didn’t respond to your re-engagement email, it’s time to reconnect with people who want to stay on your list. Think about what you can do to deliver massive value and immediately remind your subscribers why it’s good to get emails from you. Whatever you do, make sure what you send is interesting, personal, adds value, and includes a CTA link. Taking the time to go through the email list hygiene process will surely help you prevent your emails from being marked as spam. After you’ve cleaned up your email list, it’s time to segment, or organize it, so you can reach the right people at the right time on the right channel. You can achieve this through email segmentation. Email segmentation is the act of intentionally subdividing your email list into any number of smaller lists that are determined factors of your choosing (e.g., product or service preference, gender, interests, media interests, etc.). 1. People love a personalized touch: Emails with personalized subject lines are 26 percent more likely to be opened. Emails you send to leads and clients should be personalized. In fact, when a lead becomes a client, the personalization should be ramped up a notch or two. Think of it as the start of a happy, long-lasting client relationship. 2. 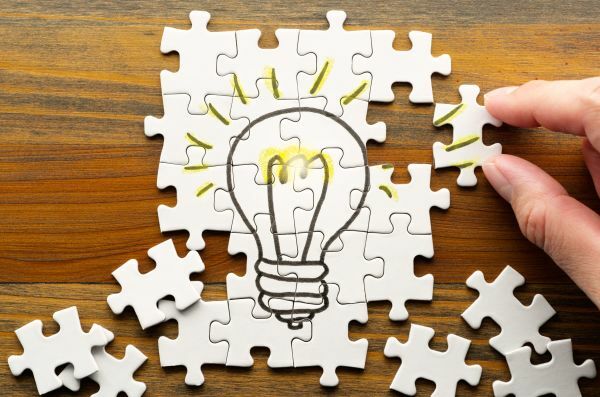 You'll get to know your leads and clients better: It’s much easier to develop new products or services that meet a market’s emotional and logical needs when you have in-depth insights into those market segments. Things you may have completely overlooked in the past all of the sudden become clear. 3. You'll increase client retention and increase sales opportunities: Segmenting your clients allows you to increase retention as you provide value-added offers and upsells that are relevant to your client base. There are many ways you can segment your email list. The key is to select the segmentation strategy that will work for your small business. After all the time and effort that goes into building a good email reputation and creating the right email message, the last thing you want is your email going to the spam folder. As ESPs and spam filters become increasingly sophisticated, the chances of emails never making it to the inbox increases. In fact, only 80 percent of commercial email arrived in recipient inboxes in 2017 according to a study by Return Path, which helps companies improve email deliverability. Five percent of emails ended up in spam folders, while 16 percent never even made it that far, blocked at the gateway by email providers. But don’t let yourself get discouraged. Technical and personal strategies can help keep your email out of the spam trap. Sending marketing emails to a large number of people from a personal account like Gmail or Yahoo goes against DMARC policy and could impact your email deliverability. DMARC stands for Domain-based Message Authentication. It’s a standardized approach to email authentication. 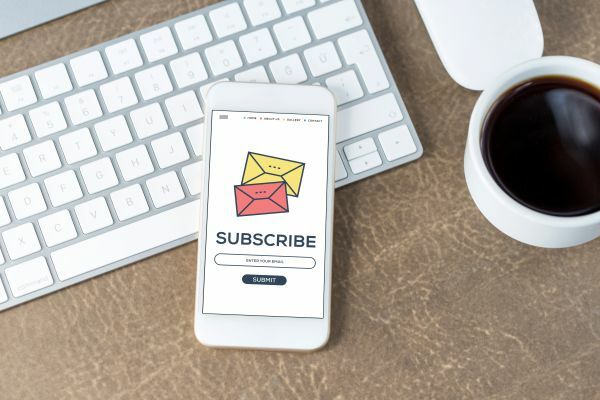 When you add new subscribers to your email list, you need their permission, either verbally or implicitly through an opt-in form on your website. According to the CAN-SPAM Act, it’s illegal to send spam, defined as unsolicited, commercial, bulk email. Ideally, you should use a double opt-in, which requires the person to click an email link confirming their registration after they’ve subscribed to your email list. Of course you don’t want people to unsubscribe from your email list, but if you don’t give them the option, their only way out is to mark your email as spam. Be sure to include an unsubscribe link that’s easy to find in the footer of every marketing email you send. DKIM stands for Domain Keys Identified Mail, an email protocol that allows you to authenticate your email domain. It’s like a digital signature that emails providers check to ensure you are who you say you are. When your sender authenticity is validated, the email provider will be more likely to send your emails to the inbox, not the spam folder. In an effort to protect you as a business owner and a sender of emails, your web hosting provider uses Sender Policy Framework (SPF) as a method to prevent unauthorized senders from forging your email address, or “spoofing.” Many Internet Service Providers (ISPs) require SPF records to be published under your domain name in order to accept your email. Regardless of the provider you use to send email, you need to make sure your SPF record is set up to authorize that provider to send email from your sender address. As if the spam folder didn’t give you enough to take into consideration, there’s also the Gmail Promotions Tab that you need to consider, especially with an increasing number of people using Gmail. Gmail scans incoming mail, and depending on the type of information received, assigns the email to the Primary Inbox, to the Social Tab, or the Promotions Tab. The Promotions Tab is similar to a junk mail folder. The idea is to make sure the Primary Inbox remains uncluttered so it’s easier for people to find the emails that matter the most to them. Using a lot of images in your email. Instead, stick to emails that look like plain text and an ordinary email signature. Including more than a couple links in your email. Instead, use one CTA link per email and always make sure you include an unsubscribe link. Using your brand name instead of your name in the “from” section. Instead, make the email from you. People buy from people, not machines. A lot of fancy HTML code. Email templates look great, but be cautious of fancy HTML-coded templates which often end up in the Promotions Tab. Links to your social media profile in your email signature. As we mentioned above, keep the links limited to one per email. Your goal is to get them to click on your call to action (CTA), not your Facebook or Instagram link. By applying these principles and sending people information they care about and want to receive, you’ll be able to get your email into the Gmail primary inbox and keep your emails out of the Promotion Tab. After an email is sent, you’ll want to keep track of how it performs. Are people opening the email, and if they are opening it, are they clicking on the CTA link in your email and taking the action you hope they’ll take after you hit send? The email open rate and the click-through rate (CTR) are two of the most important email marketing benchmarks you’ll want to measure to get optimal results from your emails. Let’s take a look at each of these benchmarks, how you can calculate them, and how you can improve them. It’s the percentage of people on an email list who open an email. For example, if you send emails to a list of 100 people, and 20 people open those emails, your email open rate is 20 percent. The higher the open rate, the more people saw your email content, and the more successful you can consider your email marketing. The average open rates vary by industry, but Econsultancy found that email open rates for small businesses typically range around 24 percent, with click-through rates (CTRs) around 3.4 percent. And according to Get Response, the overall average open rate across all industries is around 18 percent. You can take a closer look at open rates by industry in the Get Response report. However, something to keep in mind, open rates are only counted if the tracking pixel is displayed in the email recipient’s email program or they click on a link in your email. So if someone has their image display turned off in their email program, the open rate doesn’t get recorded by your ESP. Unique open rates measure whether or not the email was opened. Non-unique open rates measure how many times the email was opened. Some ESPs measure only open rates, while others measure non-unique rates as well. Other things to take into consideration are things like Google’s Gmail image caching feature, which also impacts your email open rates. While these statistics may be discouraging, sometimes changing a single word or phrase can make all the difference in your email open rates. Based on our research of 3.25 million email subject lines from 24.3 thousand customers, we found eight surprising words that can hurt your email open rates. In another analysis, where we looked at the effects subject lines have on open rates, we found 10 phrases that increase email open rates. Aside from the subject line, there are many other things you can do to the anatomy of your email to improve your email open rate. The CTR measures how many times people click a link in your email, and it’s the main marker of audience engagement. The higher your CTR, the more things are going well for your emails. Not only does it mean you’re getting great inbox placement, but it also means your content is engaging and relevant, so people are clicking on it. Similar to open rates, CTR also varies by industry. Another factor that impacts CTR is your country. According to an IBM study, open rates tend to be higher in Australia and New Zealand (5.1 percent) and lowest in the Middle East and North Africa (1.9 percent average). A “high” CTR is more than four percent. If your CTR average is around two to three percent, you’re doing just fine. In fact, you’re right in line with the average CTRs. But, you should always strive to get optimal results from your emails. Aiming for four to five percent is an excellent CTR benchmark to work towards. Calculating CTR isn’t too hard, but before you calculate, you need to decide how you'll define a click. In the first scenario, if an individual person clicks the same link three times, it would count as one click. In the second scenario, if an individual person clicks the same link in an email three times, it counts as three clicks. Be sure to stick with the same definition of a click every time you calculate your CTR so you're always consistent. And your CTR would be 3.31 percent, a perfectly respectable CTR. Improving your CTR is not a straightforward process because many factors are at play. Fortunately, however, a number of things can be done to find out what’s working and what you can change to get optimal results. Similar to open rates, the easiest place to make changes to increase your CTR is in the words or phrases you use in your email subject line. If you get more people opening your emails, you’ll increase your chances of people clicking your links. Split testing, or A/B testing, your subject lines, email body content, CTA links, and images will help you figure out what motivates your leads and clients to open your emails. Getting the best results will take some effort and patience, but it will be worth it in the long run and lead to optimal results. 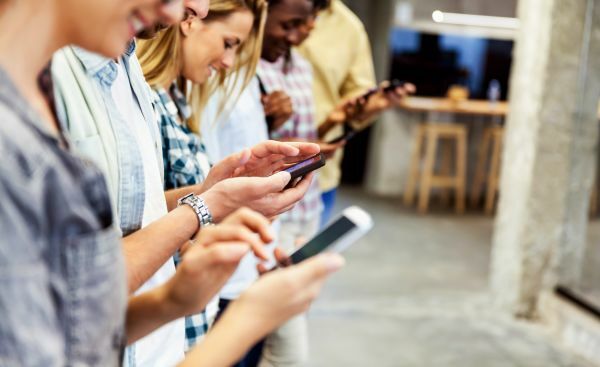 Email marketing, or using email to promote products and services and develop relationships with leads and clients, isn’t going anywhere anytime soon. To help you get the most out of it, use the data from the emails you send to help gain a deeper understanding of your leads and clients. Be patient and willing to try new things. Test and calculate email performance consistently and pay attention to the results. Over time, you’ll learn what works and what doesn’t with your ideal client. If you’re feeling overwhelmed just thinking about the time and effort that goes into successful email marketing. Software tools like Keap can help you automatically send emails, track their performance, see what’s working and what’s not so you can adjust your email marketing strategy, and achieve optimal results. Try Keap free for 14 days to see how you can use it to send emails automatically and track their performance.